A friend passed the reissue of Gabor Szabo’s Jazz Raga off to me at a bar just as the summer began to kick in here in Los Angeles. Unlike much of the country, the season here is a creeper—coming on slowly, all hazy, unpredictable and noir like something out of a Thomas Pynchon novel. As CDs often do, Raga ended up living in my car’s deck for the next six weeks. Released in 1967 the collection is a weird stew of psychedelic jazz, rock and pop, made all the weirder by L.A.’s constantly changing environs; i.e. the city, canyons, beaches, deserts and hills that seem to indiscriminately flow into one another. Environment, without a doubt, effects our perceptions of music. That is to say Szabo’s intricate fingerpicking and processed vocals on “Comin’ Back” sound entirely different at 3am winding your way down Mulholland than, say, watching the surf break, off HWY 1, at the base of Topanga at dusk. Great stuff. Production Notes: Digitally remastered edition of this 1967 album from the Hungarian guitarist. The world famous Impulse Jazz catalog is so cavernous, you truly need a music-minded flashlight to uncover its deepest and darkest secrets. Thankfully, Light In The Attic has recently acquired such luminescent technology and the first discovery is Szabo’s Indo-fusion landmark, Jazz Raga. Combining Szabo’s distinctive six-string touch and open-minded ideas, it brings together Jazz, Pop-Rock, and his native European influence, along with hypnotic sitar, stoned bass vibrations, occasional Psychedelic vocals, and the laidback, yet totally in the pocket, Latin/R&B infused backbeat of #1 session drummer, Bernard Purdie. wow! great track, thanks (as always) for that! It’s a tossup between my one of my first college-era roommates and Gabor Szabo as to who is most responsible for my introduction and subsequent lifelong love affair with Jazz music, but my roomie was playing a Szabo LP one day in 1975, as I walked into the room. I exclaimed, “WHO is THAT?” My musical horizons were forever transformed. Tremendous track. Tremendous artist. Thanks for sharing! Very, very cool. 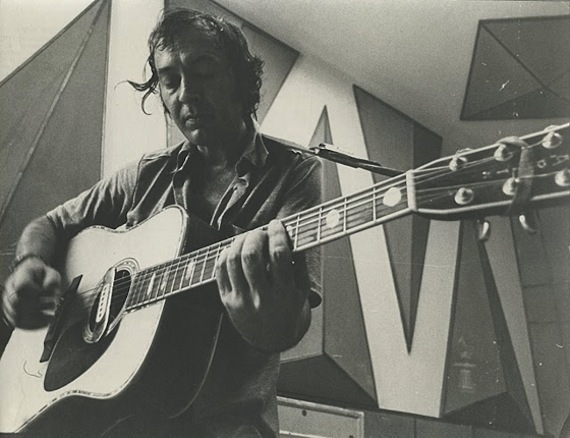 Haven’t heard Gabor Szabo in ages!